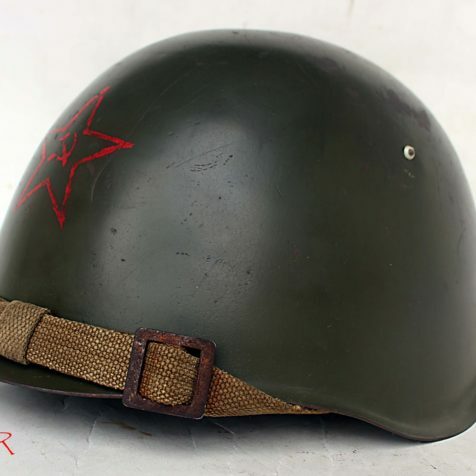 The Soviet SSH39 helmet. 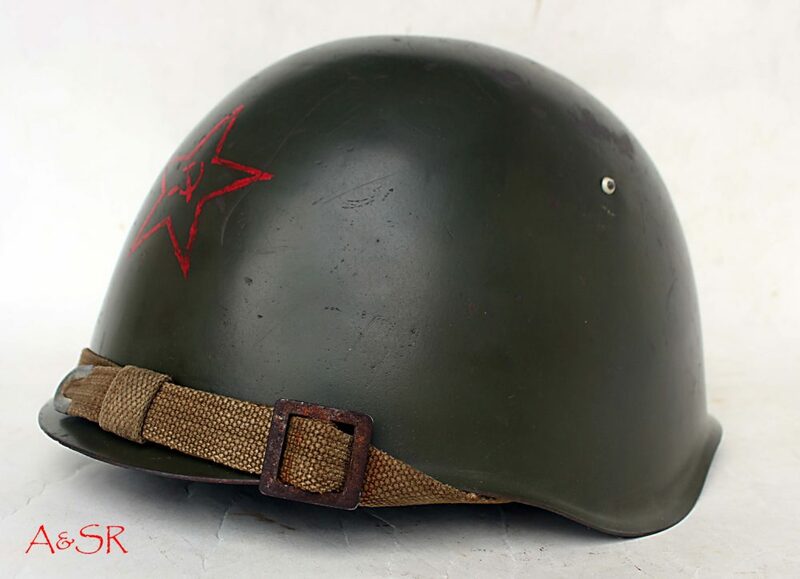 This is the helmet that would have been worn by the Red Army during the invasion of Poland in 39, to Leningrad as well as Stalingrad. 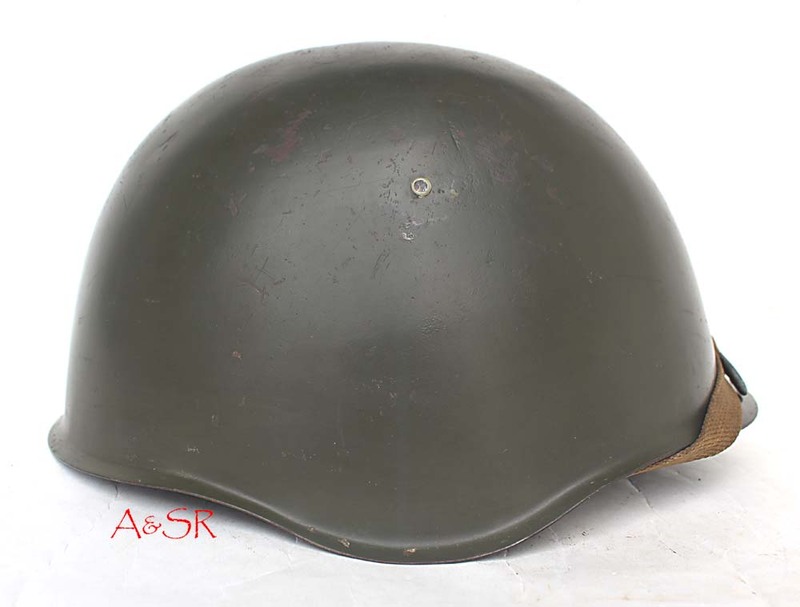 The SSH40 saw little use until after 1943. 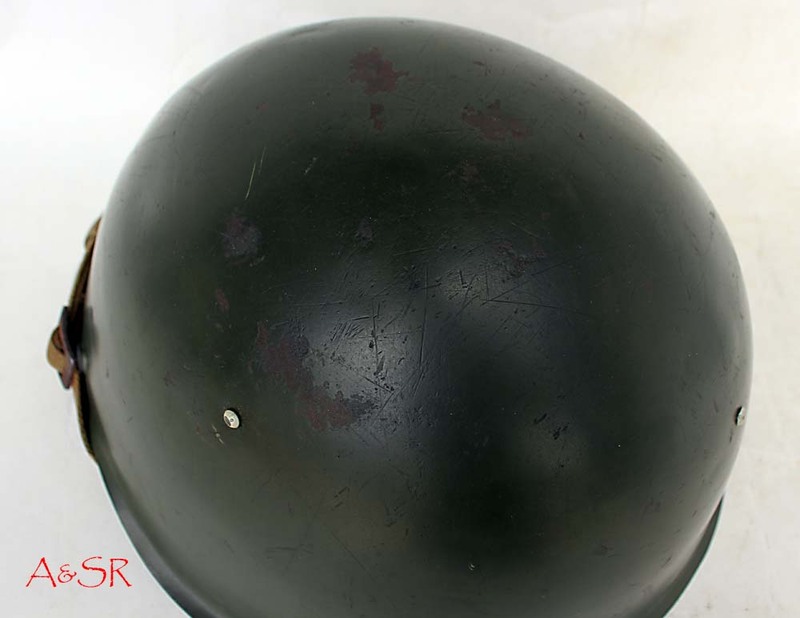 The helmet has been repainted the correct shade of Soviet moss green. Two correct shades, a dark and light are available. This is the lighter shade. 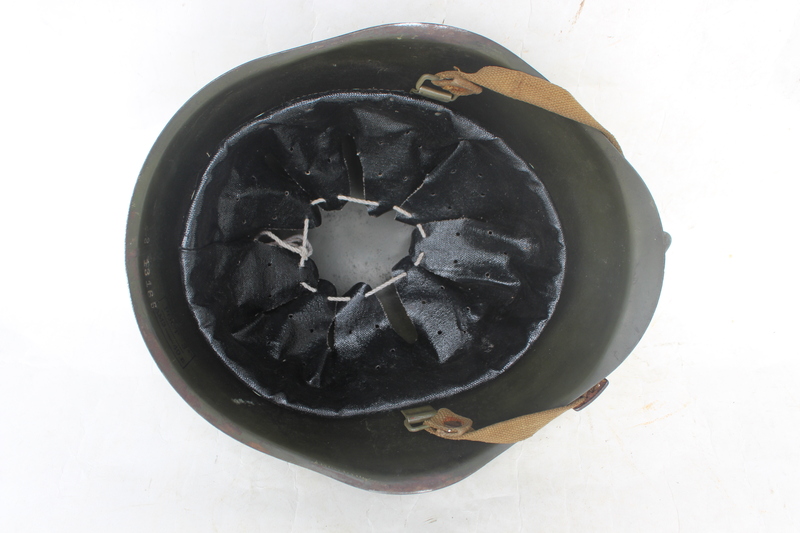 This helmet has been fitted with the 1st pattern liner which is made from oil cloth. 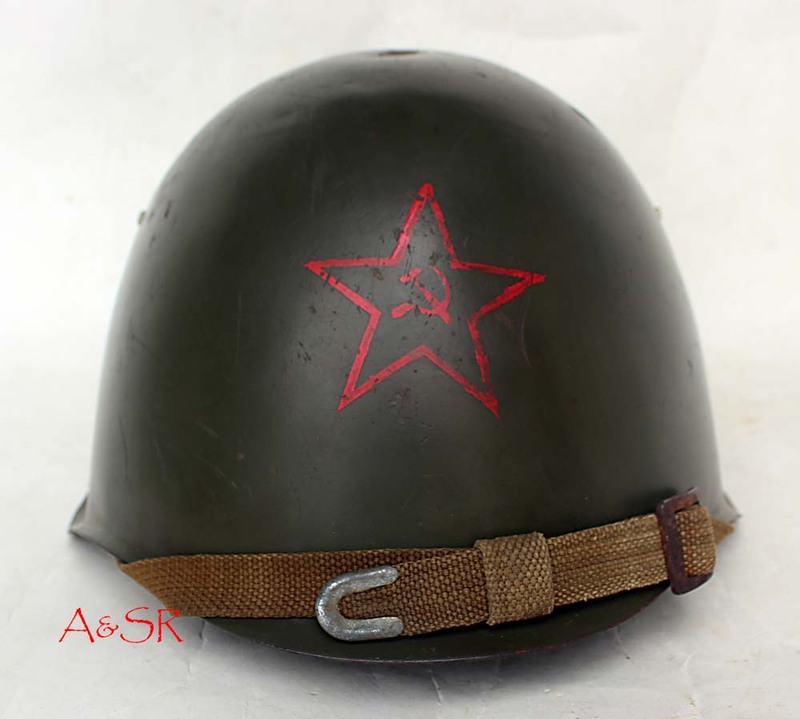 The helmet also has a hand stenciled Soviet Star, which is correct until they were phased out in 1941. 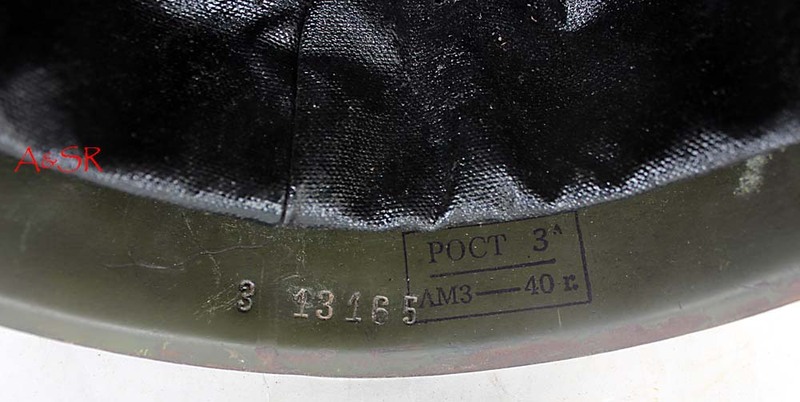 There is also a inspector’s ink stamp. 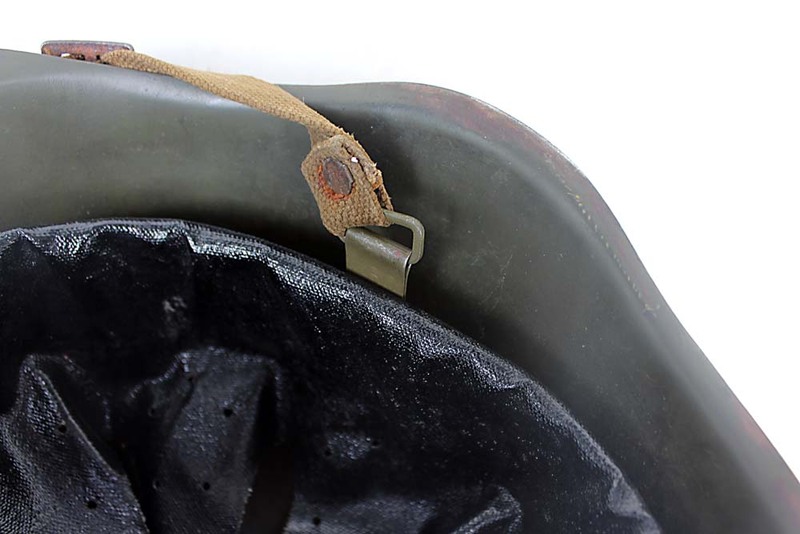 Both 1939 and 1940 dates are available.